*) The movie is about a honest COP story. *) Mass Maharaja Ravi Teja powerful performance. Both heroines Hansika and Regina action is very good. Hansika looks very slim in this movie. 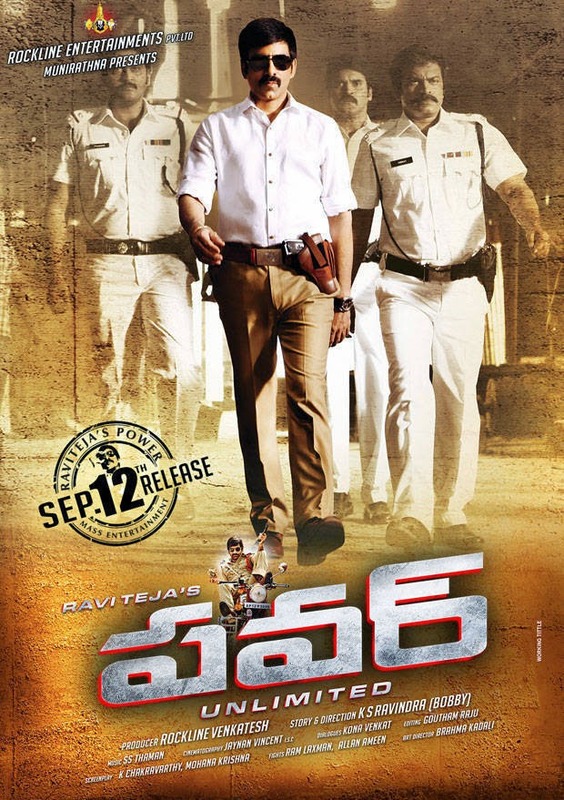 *) We can see Ravi Teja's both mass and serious action in this movie. One more COP story in his pocket. *) Prakash Raj guest appearance is very good. *) Script work is very good. Songs are good. Photography is excellent. *) Fight sequences are excellent. Especially, picturization of first fight is awesome. *) The movie is full of action and entertainment oriented. *) In second-half, at one point of time, movie looks like 'Vikramarkudu'. But, director made the movie different by adding a twist at end. *) Director has taken care by making limitations to some of the (very few) scenes which are close to other movies. *) A single hero does two roles indifferently. Hero characterization is excellent. *) Looks like very fast narration. Some points are left blank, like 'utilization of collected fund for society/police welfare'. I thought that 85% of the story is sufficient to make the movie completely different with slight changes.